Today I spotted something in the greenhouse that made my heart skip a beat: a tiny bit of green rising from the surface of a flat of ulluco seed. Of course, weeds do occasionally make it into our potting mix, so I carefully removed the sprout and confirmed that it was indeed coming from an ulluco seed. Woohoo! Although it is probably not the first new ulluco that I have gotten from seed, this is the first that has definitively grown from a seed that I sowed. This batch of seeds is from the BK10425.2 x Pica de Pulga cross, made in 2014, although there is the possibility of open pollinated crosses mixed in. The seeds were sown in October in a flat in the greenhouse, watered only when the soil became dry, and otherwise ignored. 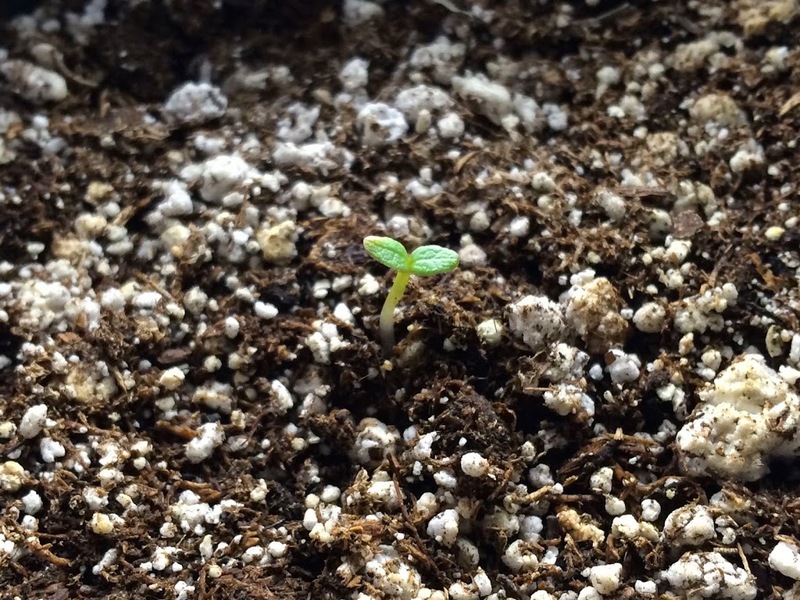 The seedling has been transplanted to an individual pot and moved indoors, drastically increasing the odds that I will kill it with kindness. Hopefully it will survive to produce tubers, but even if it doesn’t, I am now certain that some of the seeds are germinable, which is really great news! So far, I have sown a total of 1044 seeds in 2013 and 2014 and obtained 1 seedling. That is a success rate of 0.09%. In the frequently mentioned research at the University of Turku, they experienced very long germination times (often in excess of 1 year) so there is reason to hope that we’ll see some improvement in the germination rate through the end of 2016. This entry was posted in Blog, ulluco (Ullucus tuberosus). Bookmark the permalink.